To address supply constraints of EpiPen 0.3mg, Mylan UK have obtained acceptance from the MHRA to extend the use beyond labelled expiry date for specific lot (batch) numbers of EpiPen 0.3mg auto-injectors, beyond the labelled expiry date by four months. The affected lot numbers are listed in the table below. Patients should have confidence in using the products from these particular lots as Pfizer works to stabilize supply, which is anticipated in the fourth quarter of 2018. This announcement is based on a careful review of product stability data provided by Pfizer. 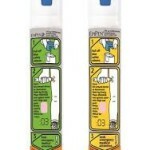 We believe the extension of use beyond the labelled expiry date will temporarily address patients’ access to and use of EpiPen 0.3mg Auto-Injectors. 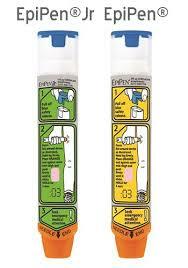 Important: the extended use only applies to the lots of EpiPen 0.3mg auto-injectors listed above. This entry was posted in News, Paediatric First Aid and tagged Anaphylaxis, auto-injectors, Epipen, First Aid by Debbie Moss. Bookmark the permalink.